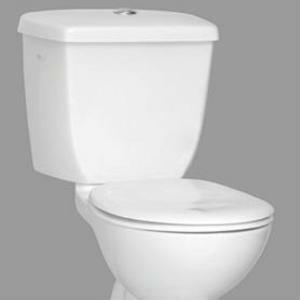 One of the most taken-for-granted inventions in the history of human existence, the earliest designs for what became the modern toilet appeared in 1596, according to a historical summary compiled by Victoria Plumb. The source explains that it was Sir John Harrington - not plumber and entrepreneur Thomas Crapper, as many people erroneously assume - who first conceived of a non-flushing water closet that failed to become ubiquitous among British society at the time. The sewer system had yet to be invented, so Harrington's innovation was mainly a more luxurious version of the same backyard outhouses most people used. According to the official historical website of Thomas Crapper, Harrington's invention was called the "Ajax" and had a bowl and a seat similar to modern toilets. Thomas Crapper, however, did register nine patents related to improvements to the old water closet idea during his lifetime. However, several other inventors contributed to the toilets over time. For example, Discovery tells us that the S-shaped water-piping that connects toilets to the outdoors was the creation of Alexander Cummings. Meanwhile, flushing devices were the brainchild of Joseph Bramah, and an efficient siphoning system was patented by Joseph Adamson. As the legend goes, Crapper Brass & Co. water closets had become very popular in England during World War I. When American soldiers joined the battle, they began referring to toilets by their brand name. Hence, Thomas Crapper's legacy became rooted in toilet-related slang terms. Early water closets were portable - meaning those who could afford them sometimes placed them in a dressing room specifically set aside to relieve themselves - but there wasn't any reason why the wealthy couldn't set their water closets up anywhere they felt like, according to Victoria Plumb. But as indoor plumbing grew into favor in the late 1800s, it only took about 20 years for indoor bathrooms to become mandatory in American building codes. Strangely enough, the concept of a systems of pipes and aqueducts wasn't anything new around the time indoor toilets become en vogue. One of the first known people to apply a city-wide water distribution system were the ancient Romans. PBS points out that the cleanliness immediately noticed by visitors to Roman cities would not have been possible without their then-inventive methods of irrigation and distribution.